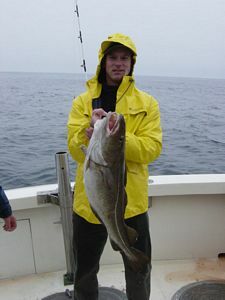 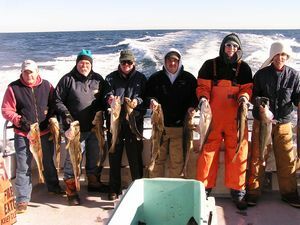 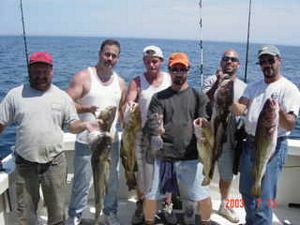 On our Cod and Haddock trips we will travel offshore and fish Jeffreys Ledge. 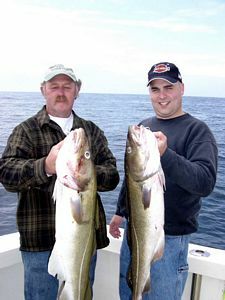 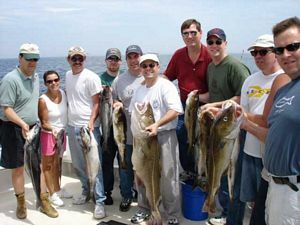 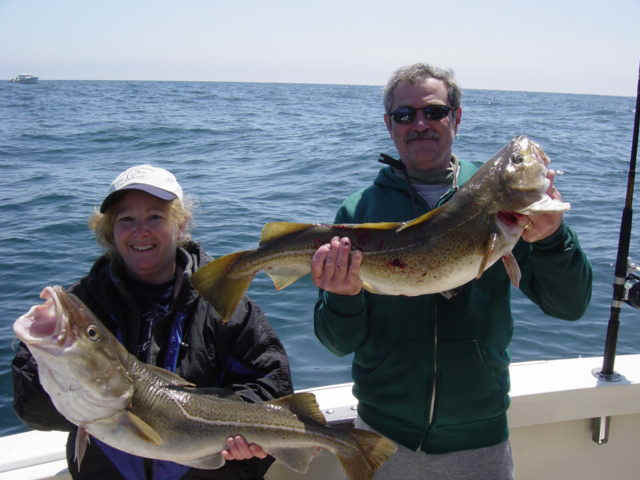 One can expect to catch wolfish, cusk, pollock and redfish along with the cod and haddock. 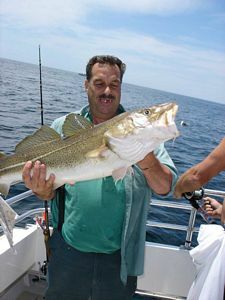 You will be fishing in 150' to 350' of water with bait consisting of either clams, herring, shrimp or we will set you up with a jig rod to see if you can snag the big one. 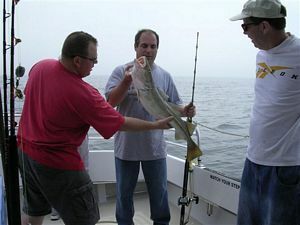 All tackle and rods are included in the charter rate, we are sponsored by Ugly Stik and Pflueger so you can be sure you will have the best gear. 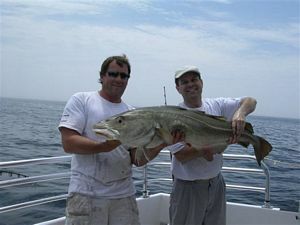 Beginner or expert.......we welcome all! 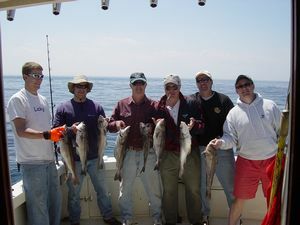 We will ice, filet and bag your catch so all you need to do is bring a cooler to transport it home.